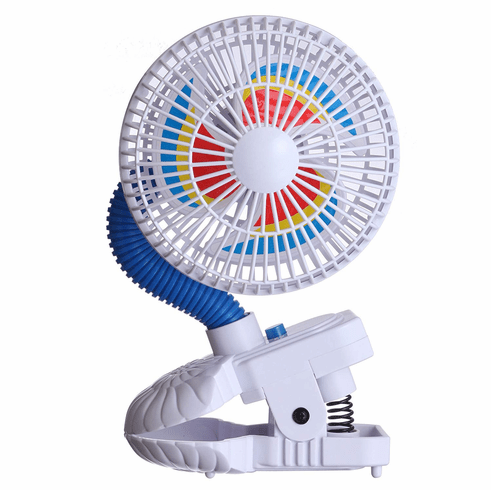 Keeping kids cool is a breeze with the colorful Pinwheel Fan from Kel-Gar. The sturdy clamp makes it easy to attach to strollers, playards, highchairs, car seats and more. The flexible gooseneck provides easy positioning of the fan allowing the breeze to be directed where needed. A great way to keep even the littlest ones comfy on the hottest of days! Requires 2 AA batteries (not included). 5" x 3.5" x 11.5".